In case you have been sharing a cave on Ahch-To with Luke Skywalker, there has been a major disturbance in the Force after the release of The Last Jedi and Solo: A Star Wars Story. It seems that fanboys are outraged over the influx of women in "their" movies (ew cooties! ), or having their pride hurt when a character's backstory conflicts with their own fan fiction, or whatever else has gotten their Jedi robes in a bunch that particular day. You may have guessed that as a die-hard fan I really have a hard time following their petty grievances. I mean it was easier when the prequels came out and they were so laughably bad that we exiled George Lucas like he was Obi-Wan on Tatooine. But, the films that Disney are putting out in the Star Wars universe are quite entertaining. It's a shame that some people can't see past their own prejudices to recognize it. As you may have gathered from the title alone, Solo: A Star Wars Story is an origin story of sorts for the roguishly handsome scoundrel Han Solo. When we meet him in a cantina on Tatooine in the original Star Wars, he is still young, but it's clear that he has already lived a lifetime of experiences. Enter Solo: A Star Wars Story. The production issues surrounding Solo have been covered to death online, so I will only briefly mention that the original directing duo was replaced mid-shoot by Ron Howard. Anytime you have a chance to bring in Ron Howard, your film is going to be that much better for it. However, changing directors midstream like that is bound to cause some ripples and this might help to explain some of the unevenness in the film. As much of a Star Wars shill that I am, I can acknowledge that there are certain moments that don't jive with the rest of the film. What I won't do however is throw the baby out with the bath water. Overall, the movie works and provides an entertaining outlet for both die-hard fans and those just now discovering Star Wars. 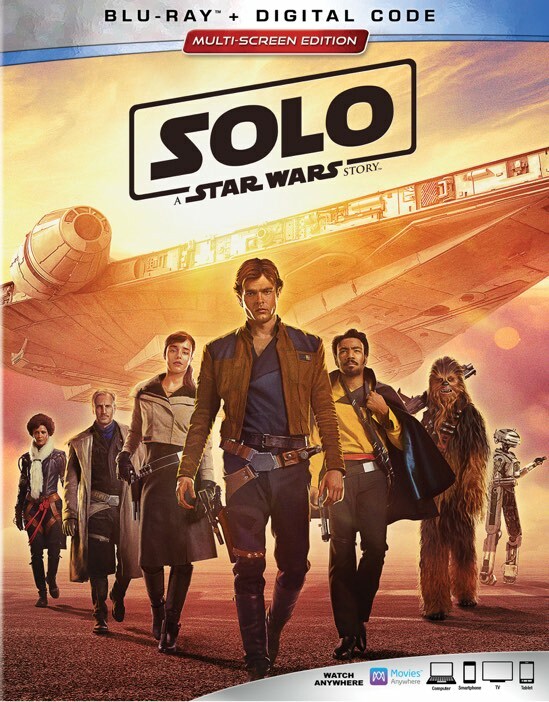 Beyond simply watching the film, I have listened to the audiobook of the expanded Solo story and there are certain elements excised for pacing that make for an interesting character study in what makes Han tick. For instance, this deleted scene fleshes out Han's time as an Imperial pilot. I found the added detail in the book interesting, but I have to admit that it is a bit jarring to see Han in the cockpit of a TIE fighter. I would imagine that the scene was cut for pacing more than anything as the first act does seem to drag until Han meets up with Beckett's crew. However, there is a bit of a jarring cut between the Han and Qi'ra's escape attempt from Corellia and Han's predicament with the Empire. I was immediately drawn to Alden Ehrenreich the first time I saw him in Hail, Caesar! So, I knew that he would do a bang-up job as a young Han. I wasn't disappointed as Alden is given the thankless task of trying to fill the boots of a cinematic icon and he performs admirably. The real issue I have was more of a practical one. There are approximately ten years between the events of Solo and the original Star Wars film. Obviously Harrison Ford couldn't play his younger self in the new film, but try as they might get them to look similar in appearance, the differences are a bit shocking. Another thing to get a facelift in Solo is the Millennium Falcon. It goes without saying that the Falcon is the most iconic ship in the Star Wars universe, so to be given an opportunity to see her in her glory is something not to be missed. Of course, it makes sense that it might not exactly resemble the ragged ship that we have come to love. The inclusion of the escape pod is a nice touch and the bonus features include a featurette on the transformation between the ship that we grew up with and the newer version in this film. The combo pack is filled with wonderful goodies like this that will appease even the most discerning Star Wars fan. The real star of the film though is Donald Glover. Whenever he is onscreen as Lando, the film hums and fires on all cylinders. It was impossible to have a Han Solo origin film without Lando and Donald Glover's performance has me desperately wanting more Lando in his own origin film or in sequels to Solo. There are definitely some issues that take away from the film. The first act, while important to the story does drag on a bit. The film really takes off when Han meets up with Beckett's crew. There's also a character that dies too soon and the film would have been better served with more from him or her (no spoilers here). I do think that had Ron Howard been involved from the start, the film would have been one of the best-received entries in the franchise. But all of that aside, the film still delivers on its promise and creates a new film that not only provides interesting backstory but also creates a bit of possibility in terms of upcoming films. Unfortunately, I doubt we will ever see those films though as the backlash and other factors have cause Disney to reconsider its aggressive release approach to new Star Wars films. While it is disappointing to hear that Disney is pumping the breaks a bit, even I think we've gotten too much too quickly. 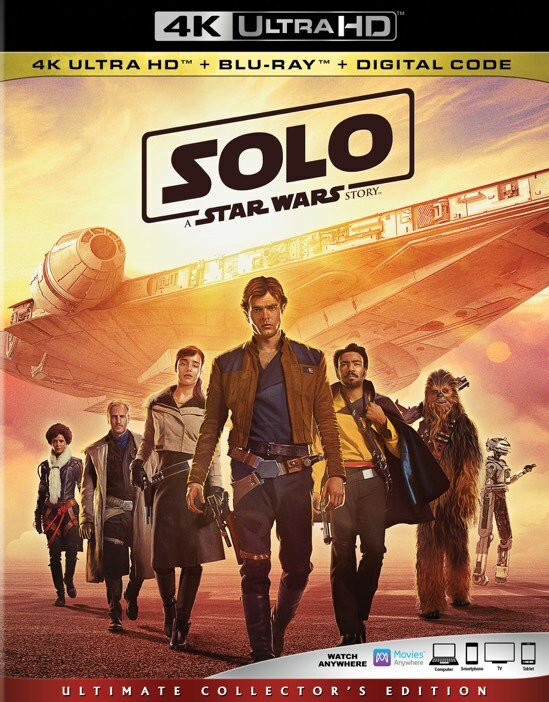 Honestly, I think Solo would have been best served to stay the course that Disney had established and come out theatrically this December. Instead, Disney rolled the dice and brought Solo out only five months after The Last Jedi. It was probably too much. After the release of next year's concluding chapter in the Skywalker saga, it's a safe bet that we probably won't see another Star Wars film for another five years. I also hope they pull back on the amount of "Star Wars Story" films and concentrate on creating new multi-film arcs. Solo had the potential of being the launching point of a new series of films, but I doubt we will ever see them. Instead, let Rian Johnson spend some time to develop a new series of films set in the Star Wars universe and bring them back when everything is perfect. If not, you risk seeing something like this deleted scene being included in the next Star Wars film. There really aren't words to describe that scene other than there is a reason it was deleted. 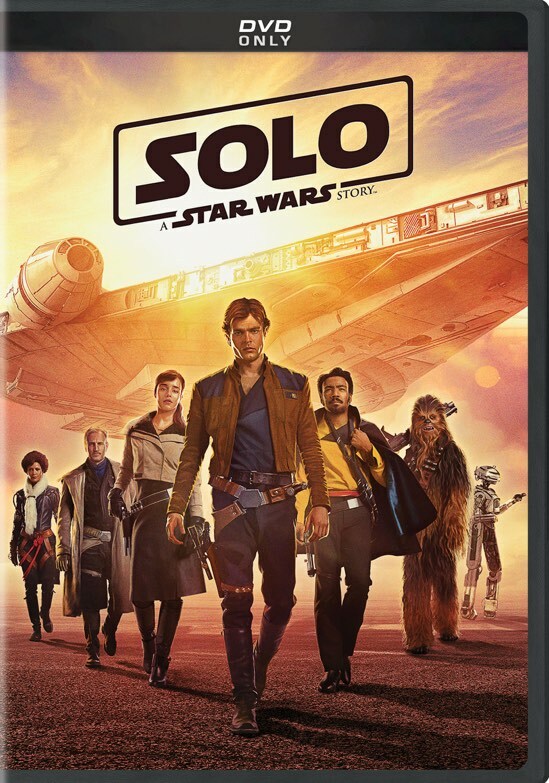 Solo: A Star Wars Story is now available on 4K UHD, Blu-ray and DVD.